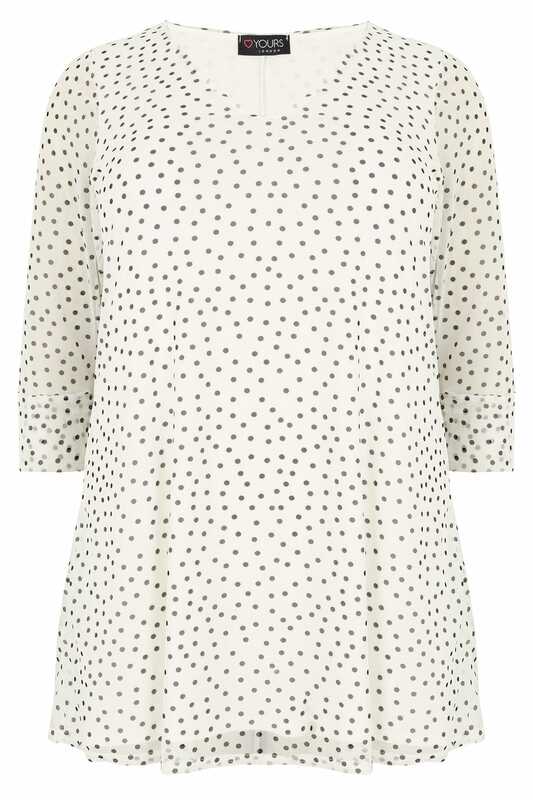 Add a hint of fifties-inspired charm to your wardrobe with this polka-dot top. With a mesh overlay, it features a v-neckline and 3/4 length sleeves. Team with smart trousers for an office look or denim for an off-duty vibe. 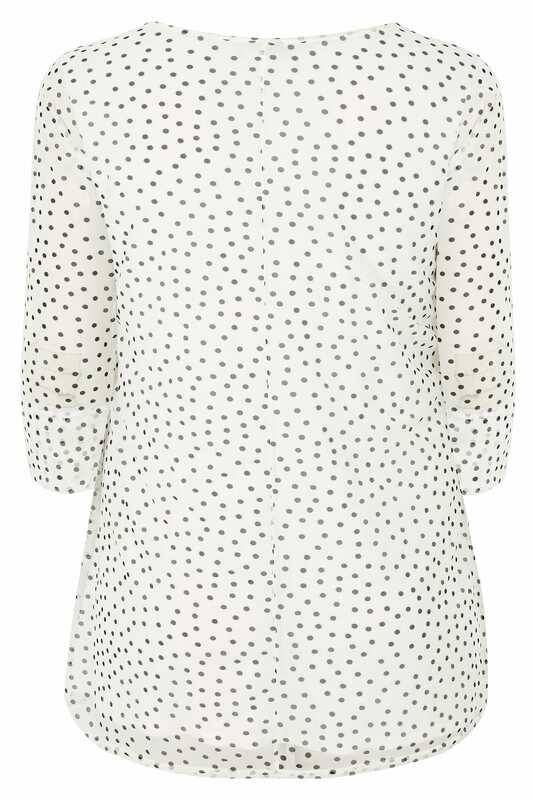 We love the timeless monochrome polka dot print.